Tobii Pro, the global leader in eye-tracking research solutions, launches Tobii Pro Sprint: a new web-based tool which facilitates quick and easy user testing of digital products and services. This first-of-its-kind eye-tracking tool gives UX designers and developers working in agile, fast-paced environments immediate and unparalleled insights on user behavior. “Eye tracking takes the guesswork out of UX. 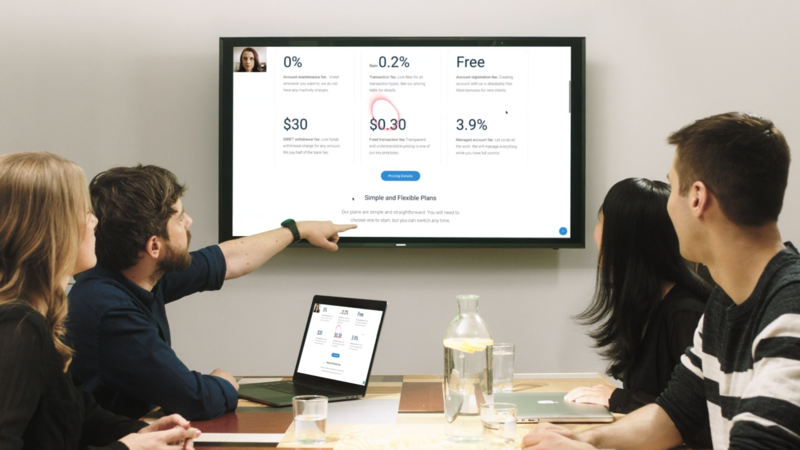 With Tobii Pro Sprint we’ve developed a tool that makes eye tracking more accessible and simpler to apply in the collaborative design process, so teams can obtain findings from user tests quickly and easily,” said Tom Englund, President of Tobii Pro. Tobii Pro Sprint allows UX designers to view and/or record the test participants’ eye movements while using their service or product on a computer equipped with a Tobii eye tracker. The recording can be shared with other stakeholders live or replayed later. Tobii Pro Sprint adds another layer of insight and provides an effective way for professionals to pinpoint potential causes or indicators of usability issues when working on software applications and websites. Eye tracking reveals user engagement and what order users visually navigate the digital interface as well as the things they notice or ignore, the places they get stuck on, and where they gravitate to. "We use a range of tools... and now eye tracking is a huge complement to these. It answers a lot of questions which come up from the other testing methods and even highlights some questions we weren’t aware of," said Teresia Schullström, UX designer at Avanza, Sweden´s largest online stock broker. Having a seamless and intuitive user interface or page layout is essential to marketing and user success. The implications on a brand of a poor user experience can be costly and cumbersome to resolve. Tobii Pro Sprint is designed for qualitative user testing at every step of the design and development process so that usability problems can be identified and corrected before a launch of a digital product or service and then continuously optimized. Video recordings and live streaming of user tests and results make it easier to present usability issues to stakeholders and prove that UX is evidence-based and not about somebody’s taste. Immediate and objective feedback from users speeds up both the design and decision-making process. 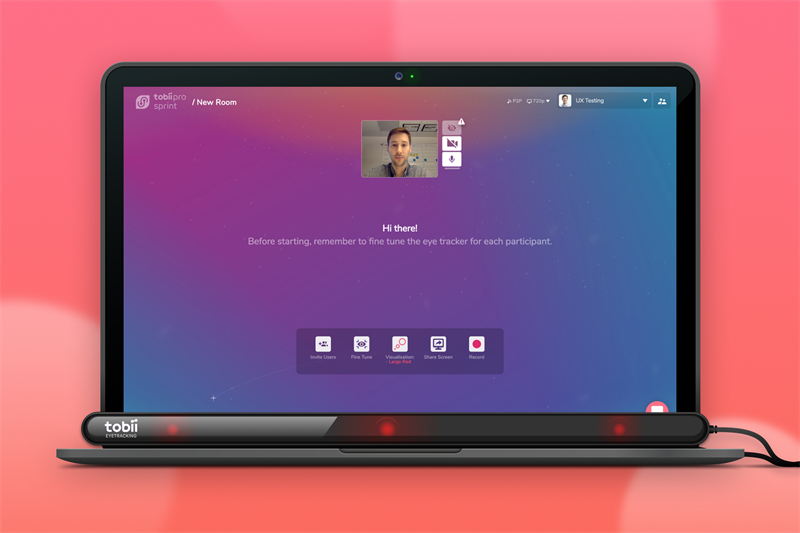 The test moderator can invite team members sitting remotely to observe the sessions and communicate through the chat feature, which facilitates team collaboration. Example use cases; an e-commerce site which needs to streamline navigation and the number of steps in the checkout process to deliver a high conversion from site visitors to buyers. Or an online banking platform testing if customers are having problems finding important items and using certain menus to complete their banking transactions. This new software joins Tobii Pro’s comprehensive product portfolio of eye tracking research tools: spanning from high performance hardware systems – desktop and wearable - to software and cloud to consulting and services. Tobii is the global leader in eye tracking. Our vision is a world where all technology works in harmony with natural human behavior. Tobii operates through three business units: Tobii Dynavox makes specially designed computers that are controlled by eye movement or touch screens for use by people with special needs due to spinal cord injuries, CP, ALS or other medical conditions. Tobii Pro develops and sells eye-tracking equipment and services used today by more than 3,000 companies and 2,000 research institutions, including all of the world’s 50 highest ranked universities. Tobii Tech further develops Tobii’s technology for new volume markets, such as computer games, personal computers, virtual reality, augmented reality and smartphones. Tobii is headquartered in Sweden and is listed on Nasdaq Stockholm (TOBII). The group has about 1,000 employees. For more information: www.tobii.com.